This 1954 Mercedes W196 was part of a group of race cars that won nine of 12 World Championship-qualifying races in 1954 and '55. 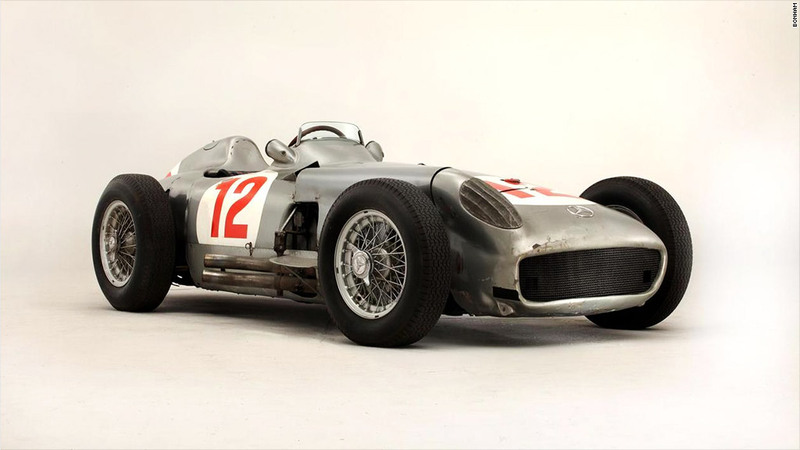 A 1954 Mercedes-Benz race car sold for a record $30 million at an auction in England Friday. 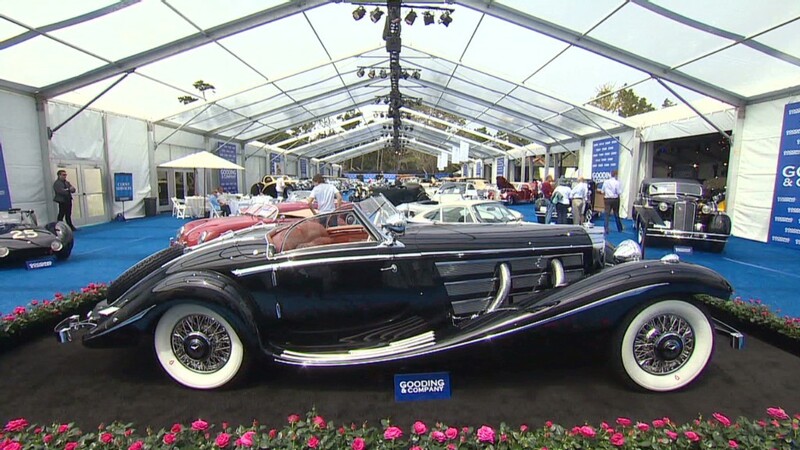 While collectible cars have been sold privately for more, this is the highest price ever paid for a car at a public auction. Until today, the record had been held by a 1957 Ferrari Testa Rossa Prototype which sold at an auction in California in 2011 for $16.4 million. The Mercedes W196R Formula 1 race car, powered by a 2.5-liter 8-cylinder engine, was one of a group of race cars that won 9 World Championship-qualifying Grand Prix races in 1954 and '55. This car, in particular, won two of those races. It was driven by legendary Argentinian-born driver Juan Manuel Fangio and is the only W196 race car not currently housed in a museum or owned by Mercedes-Benz. Part of the car's ultra-high value had to do with its largely original, unrestored condition. These days car collectors prefer to buy automobiles that haven't been cleaned and repaired to look new. This car still had scuff marks from racing mishaps and places where the paint was chipped off, said Jonathan Klinger, with the collector car insurance company Hagerty Insurance. Klinger was at the auction and was able to inspect the car closely. The car sold for roughly £19,600,000. The price includes a 12% commission for the Bonham's auction company, which sold the car. The car was largely original except for some hoses which have been replaced, Bonham's said. The name of the buyer was not immediately revealed.